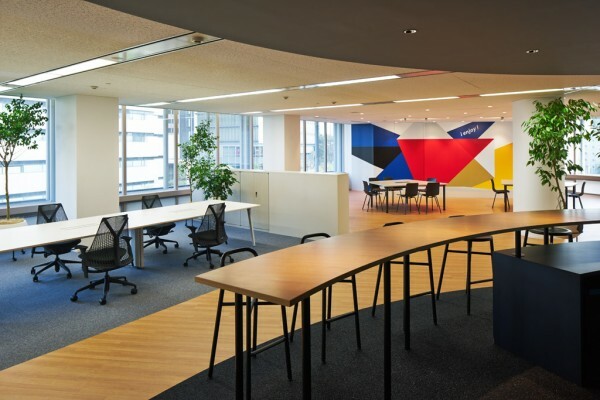 We designed the new offices for The Nippon Foundation Paralympic Support Center ahead of the Tokyo 2020 Paralympic Games. 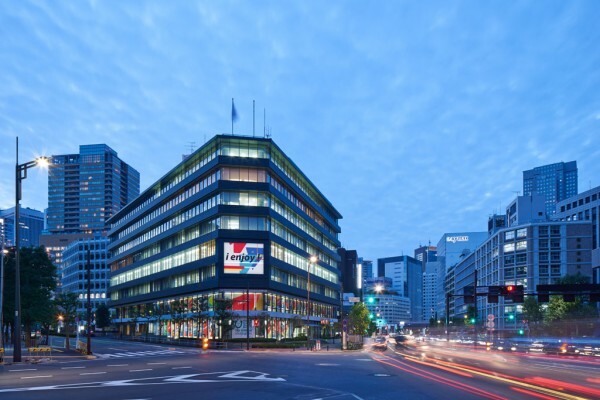 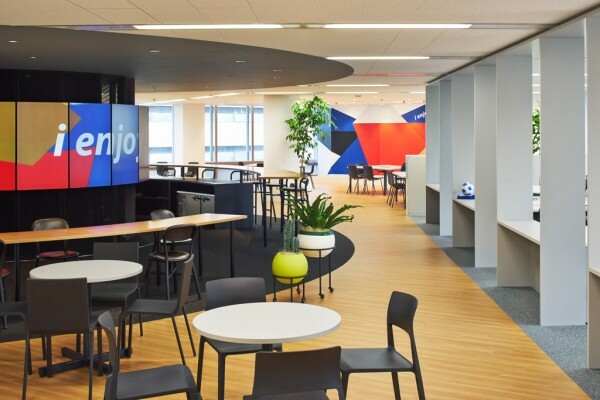 The offices are located in Akasaka, Tokyo inside The Nippon Foundation Building, designed by Junzo YOSHIMURA, and will provide support for approximately 25 para-sports leagues. 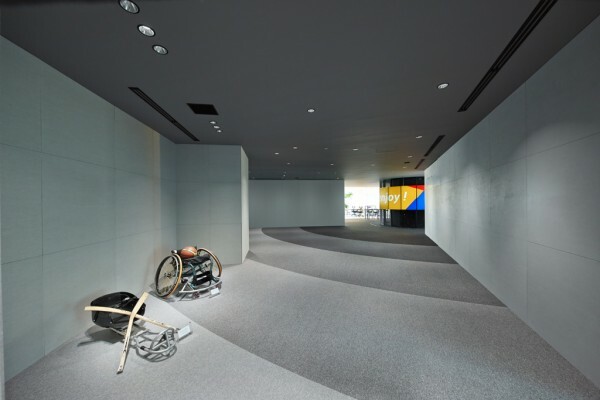 As such, we were tasked with providing a space which will promote sports and the extraordinary abilities of Japanese Paralympic athletes. 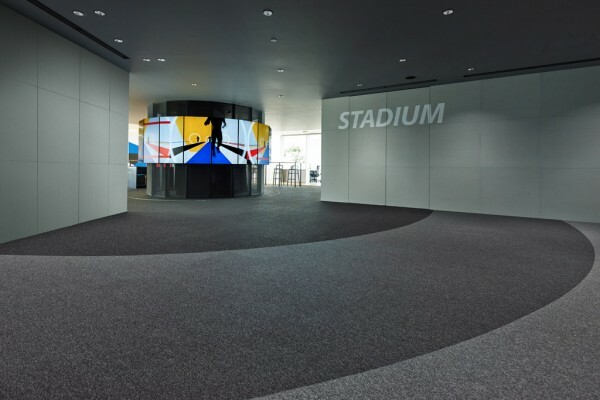 The entrance features a gradational floor pattern resembling a stadium where is echoed the feeling of elation that accompanies a sports festival. 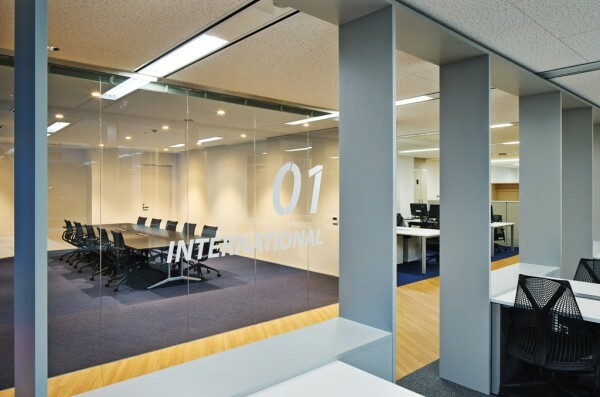 From the entrance can be seen a 360° screen display that acts like a simple yet strong anchor from which stems two diagonal rows of office space. 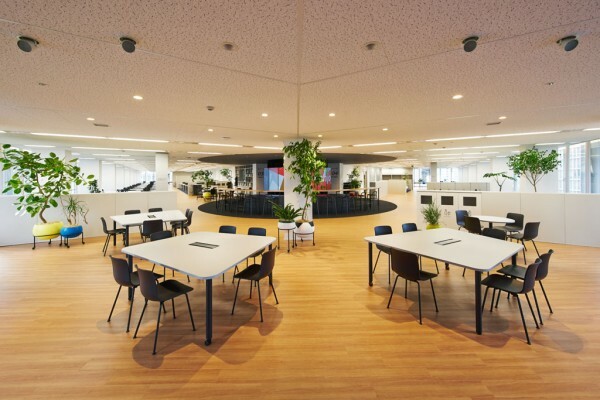 Staff can sit down at a concentric counter surrounding the omnidirectional display to catch a break before returning behind the gate-like structures, which act like an information desk for each para-sport league and provides a gradual demarcation between the work space and open space areas. 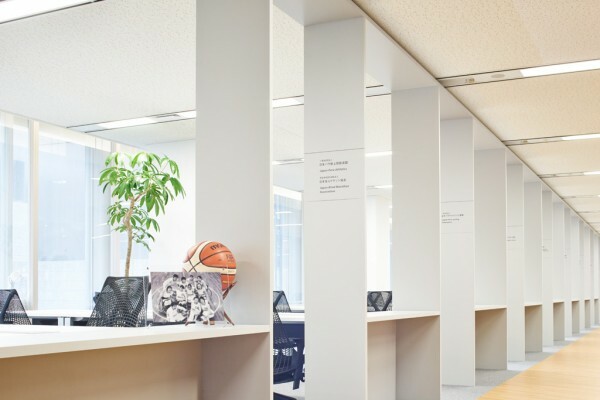 Behind the gates can be found uniform working spaces which foster a feeling of unity between the various leagues that had been operating up to now in isolation. 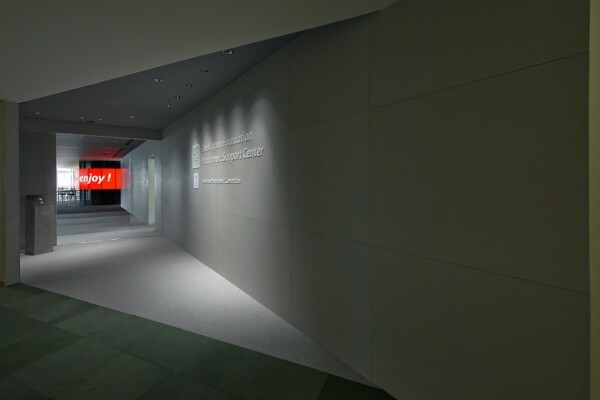 The Center's graphic signature features prominently behind a low-rise stage resembling an Olympic podium that serves as platform from which to deliver speeches during events and offers a perfect spot for athletes in wheelchairs to partake in a photo session. 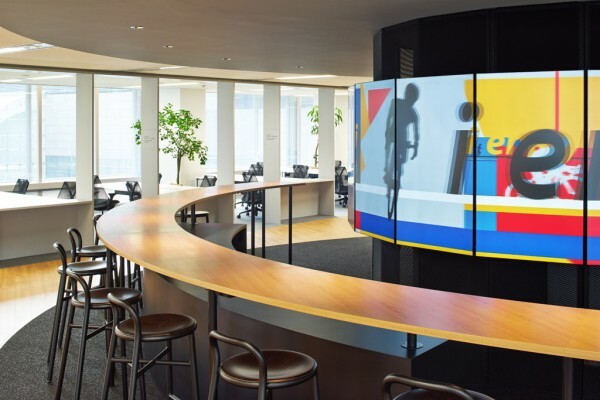 Flanked by two diagonal rows of office space, the 360° screen display acts as a powerful center of attraction which draws in workers and visitors alike. 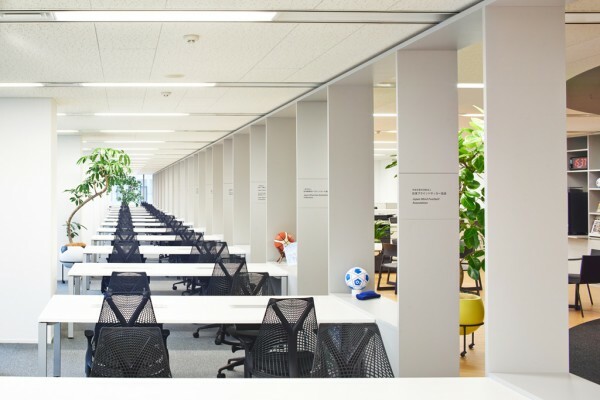 We endeavored to create a space in which a variety of persons, such as para-sport league representatives, athletes and visitors, will gather for the Tokyo 2020 Paralympic Games.